Do you have a great aversion to feta cheese? This could be a problem if you’ll be cooking a recipe that requires this specific cheese ingredient. Personally, I don’t like the strong flavor of feta cheese that’s why I have tried to find a good substitute for feta cheese. Feta is a popularly pickled curd cheese that is made traditionally from sheep’s milk or a mixture of goat’s milk and sheep’s milk. Due to the brine solution, feta has a salty and tangy flavor. It is usually used in various dishes, like salads, pizza, and pasta. In my research, I didn’t only discover one potential feta cheese substitute but 9 amazing ingredients from halloumi to cheddar. If you like to know more, continue reading below. I tried a lot of substitutes for feta, and failed many times. The #1, #2, #3, and #4 are the best ones after many experiments. They're 97% as equal as feta cheese. To find out more about them, you need to fill in the form bellow. It ​signifies that you appreciate my many try-and-fail experiments and encourages me to learn and bring you more value to improve your cooking experience. If you don’t like the strong taste of feta, then halloumi could be right for you as it has a milder salty taste. Hallo﻿﻿um﻿﻿i is a Greek cheese, like feta, that has a semi-firm chewy taste. Even if you cook this cheese under high temperature, it can still retain its firm texture. You can even substitute feta with halloumi in Greek salads, just like in this recip﻿e. You may also grill or barbecue this cheese alone. If you like to put some extra flavor, serve this cheese with chopped mint or chili. You can buy halloumi in specialty st﻿﻿ore﻿﻿s and grocery stores. You can tell its best quality by cutting it into slices. If you hear a squeak as you cut, then you’re guaranteed that its quality is in top shape. The closest feta flavor that you can find could be the Ricotta Salata. However, you may need to add more salt into the dish because feta is saltier than ricotta. If you like a sweet tasting cheese, then ricotta might be your best substitute for feta. Although ricotta and feta differ in taste, both have the same crumbly texture. Which is why you can easily substitute feta with ricotta in any dishes, like salads, soups, and pasta. You may grate this over a salad of arugula or use as a garnish for chilled cucumber soup. You may even use it in an omelet, burger, and sandwich. This is why the Kitchn suggests that you should have this available in your refrigerated pantry all the time. You might think that ricotta is a cheese but actually it is just a dairy by-product. The soft cheese is actually produced from the residues of other cheeses. 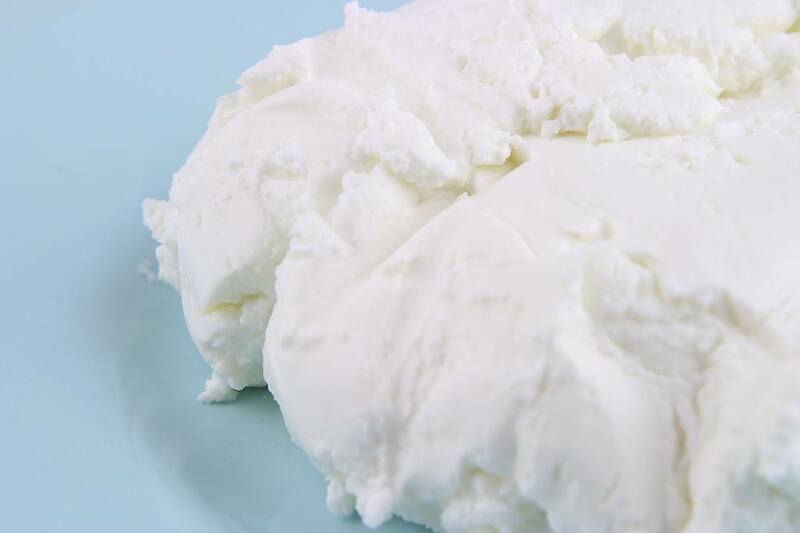 To be more specific, ricotta is produced from whey- the liquid that is left over from a cow, sheep or goat cheese. Another milder substitute for feta that you may consider is the queso fresco, a Mexican cheese that is usually made from unpasteurized cow’s milk. The fresh and mild taste of this cheese can be great with egg dishes, salads, and enchiladas. 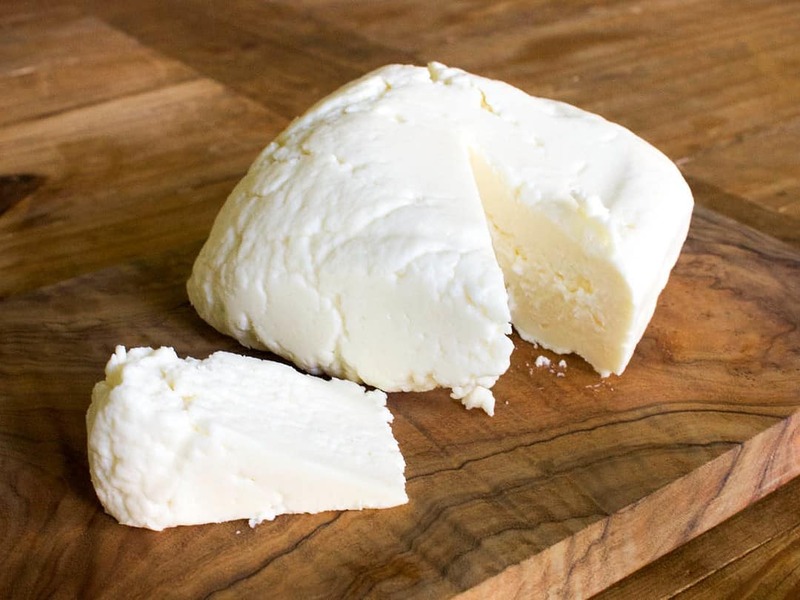 As similar to other fresh cheeses, queso fresco has a lower fat and sodium content than feta. Even if you heat this, it doesn’t melt, but gets soft and creamy instead. It has a tangy and salty taste that can greatly offset the spicy flavor of your dishes. It is recommended that you buy this cheese on the day that you’ll use it because it is best when fresh. Although this can be stored in the refrigerator for several days, the texture and flavor may diminish over time. Mozzarella cheese is a curd cheese that can be easily sliced by a knife. Traditionally, it is produced from water buffalo’s milk. Since these water buffalos are only living in very few countries, like Italy, production has now turned to cow’s milk. 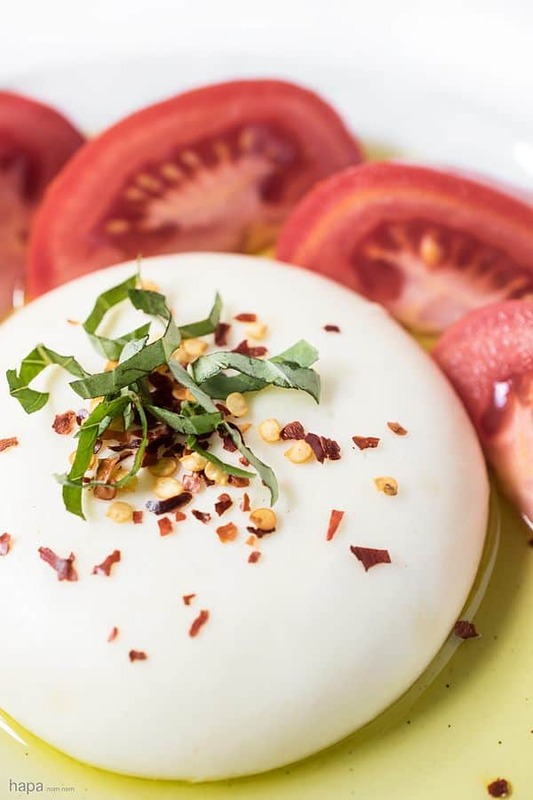 Fresh mozzarella has that soft and moist flavor. Other varieties of mozzarella include Low-moisture and affumicata. Low-moisture mozzarella is produced from skimmed milk while Mozzarella Affumicata is a smoked kind of cheese. For those who don’t like the crumbly texture of feta cheese, you can substitute it with cubes of mozzarella. You can try these various recipes, like salads, seafood, and meats. Fresh Mozzarella is one of those cheeses that can be easily made at home. If you’re lactose intolerant, tofu might be your best substitute for feta cheese because it contains no animal milk products. This is also perfect for those on a vegan diet since it contains low calories and fat. 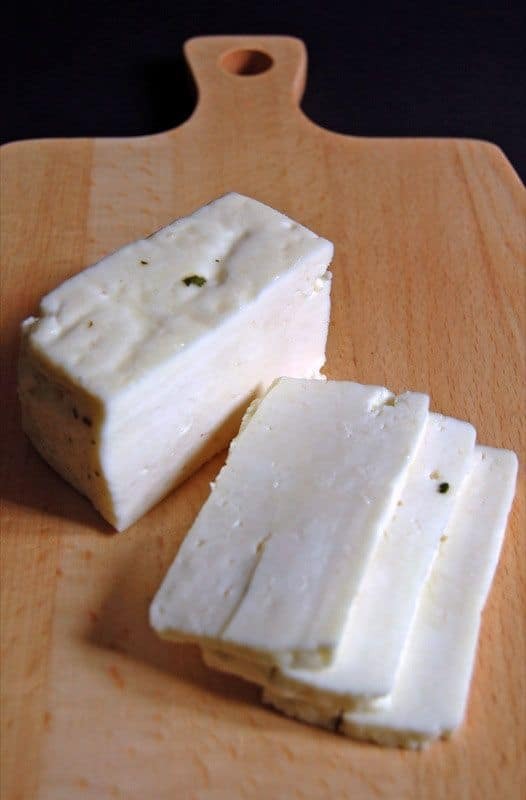 You can make your own version of feta cheese with the use of tofu in this recipe here﻿. 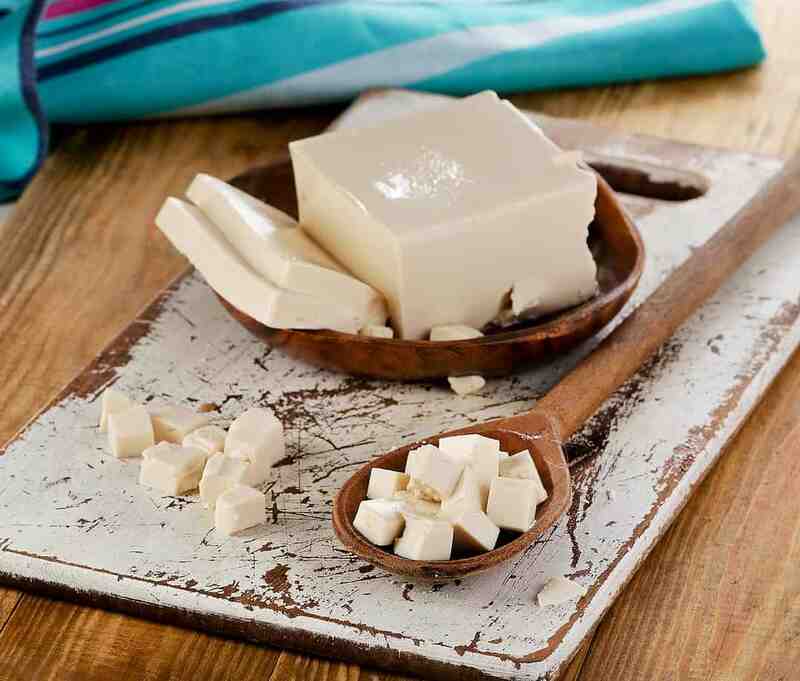 Tofu is basically made by curdling raw soya milk and solidifying it into solid blocks. It is actually tasteless and may just absorb the flavor of the ingredients like a sponge. Several research show that tofu helps reduce bad cholesterol. You can buy tofu in bulk or individual packages. They must be refrigerated to keep their freshness. You can also find some tofu that is sold in sealed packages. They may be kept at room temperature but they should be refrigerated once opened. Traditionally, feta is made of 30% goat’s milk, so using goat’s cheese as a substitute for feta might be quite reasonable. If you like a less salty taste, then you may substitute feta with goat cheese. Many people say that this kind of cheese has a mild grassy flavor. It has a soft texture that can be easily spread on bread and crackers. However, as it ages, it becomes firmer and chalky in texture. The taste of goat cheese can vary from mild to strong that’s why you can use it in savory dishes. You can also use goat cheese in salads, pasta, and cheesecake. 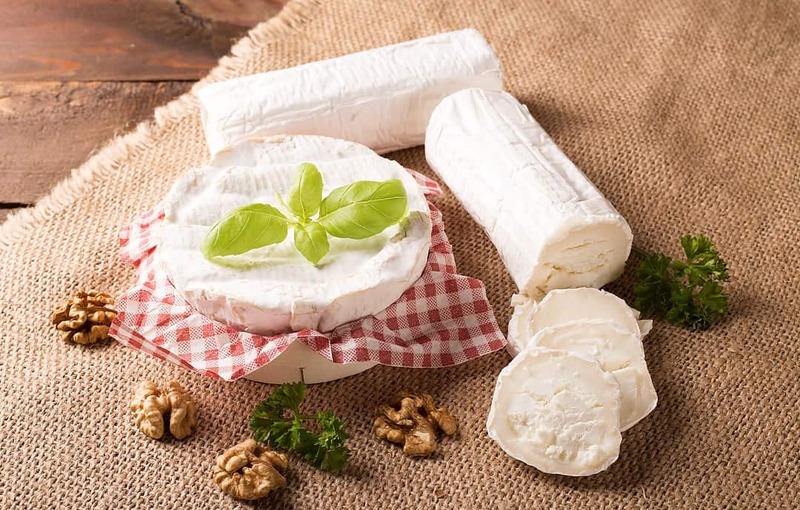 Although goat cheese contains low calories, it has a rich and creamy taste. To store it properly, avoid exposing it to air because it can cause it to dry out. You should wrap the pieces with a plastic wrap, or you may put it in a zip-style bag. Just make sure that you squeeze all the air out before you seal the bag. After that, you may store it in your fridge at 40 degrees Fahrenheit. Gorgonzola is a specific kind of bleu cheese that is made from unskimmed cow’s milk. It has a unique appearance because of its bluish-green veins. This Italian cheese has a crumbly and salty taste, making it a suitable substitute for feta. The taste of this cheese varies from mild to sharp depending on its maturity. The younger variety is sold as Gorgonzola Dolce while the aged ones are sold as Gorgonzola Piccante. You may try this in pasta, pizza, and salads. It also goes well with oregano, tomato, and basil flavors. This is best served at room temperature but you must use this within a few days after buying. You can store this in your fridge by wrapping it tightly with plastic. 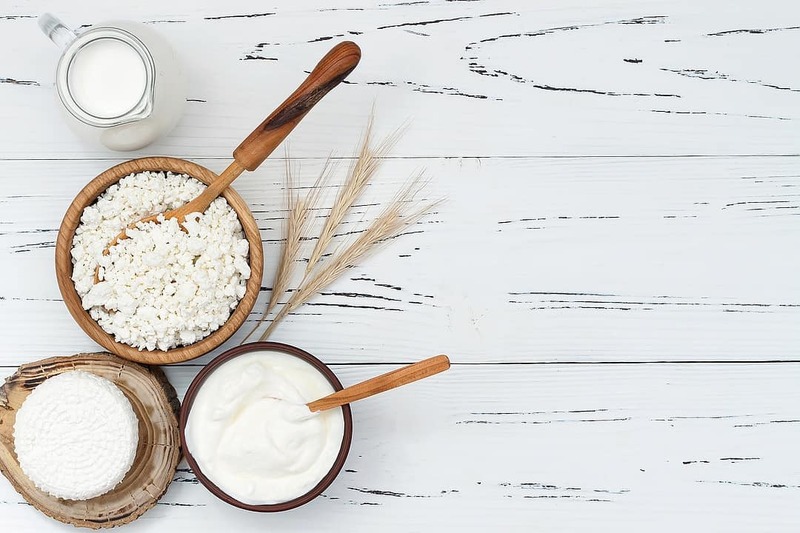 Cottage cheese has always been a staple for many health conscious people because of its low contents of calories and sodium. As compared to feta, cottage cheese contains lesser calories and fat. But despite being the healthier option, it has the same amount of protein as feta. It is quite versatile in the kitchen as well because it can be used in snacks or any sweet and savory dishes. You can use cottage in various dishes, like chicken enchiladas, cheesecake, and lasagna. You can find the recipes here. If you’re a do-it-yourself (DIY) person, then making this will be easy. Just follow the steps shown in this video below. You might wonder why cheddar varies from yellow to white color. Actually, both are basically the same. White cheddar is mostly produced in New England. It has no dye that’s why it has a white color. 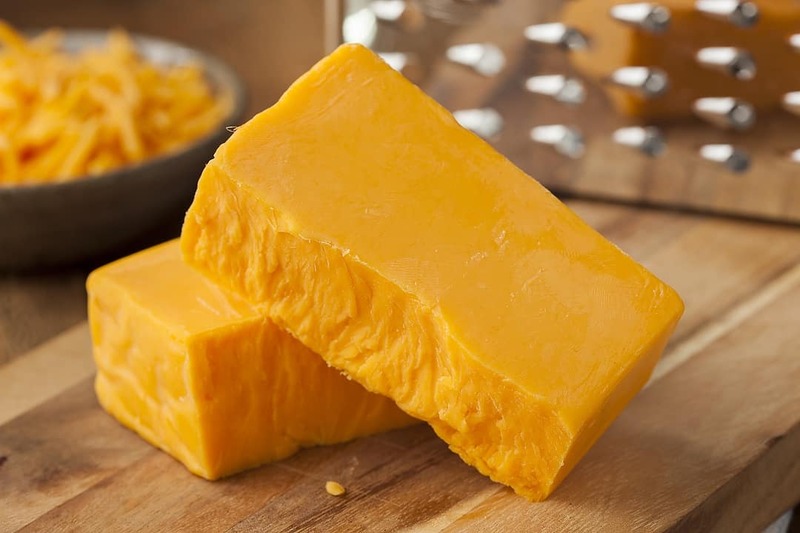 On the other hand, the yellow or orange cheddar is made elsewhere and it is dyed with a yellow or orange extract, known as Annatto, to help determine its origins. 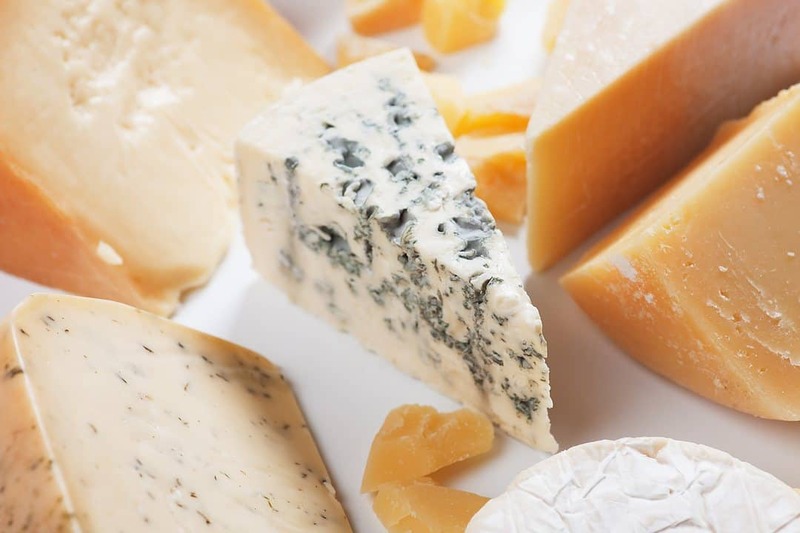 The taste of cheddar depends on age. The younger or sharp cheddar has almost the same tangy taste of feta. It can easily melt under heat, too. This makes this a good feta substitute for meat dishes. This list was important to me because I don’t like the strong flavor of feta on my dishes. Knowing that there is a more available substitute for feta cheese makes me happy. Now, I can substitute feta with any of the ingredients listed above, like ricotta and tofu. Do you have fun reading the list? Have you selected your best choice for feta substitute in your next recipe? I wanted to thank you so much!!! I just got watermelon and fresh local blueberries and was excited to make the salad with them and “feta” cheese… correct! I forgot the feta!! It is simple and fresh with just the blueberries and watermelon with a balsamic vinagar or balsamic reduction .. Oh and the feta cheese I forgot to buy!! I will try some of the fresh mozzarella or some ricotta!! Thank you for your hard work and the list! Thank you for these awesome recommendations. The tofu seems great! But I can’t wait to see the other 4. Let me see them please ???? Thank you so much! You’re such a blessing to all of us ??? ?